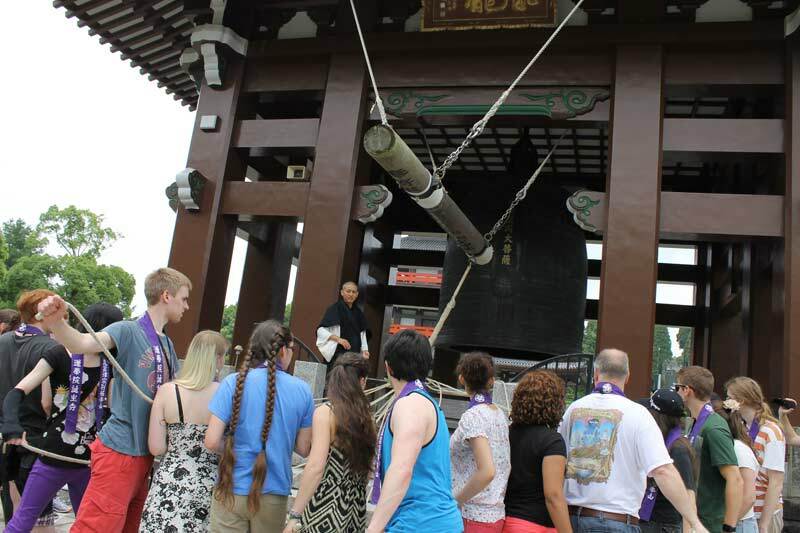 After we visited the mayor the same day, we headed to Okunoin temple, which houses the largest temple bell in the world. Weighing approximately 37.5 tonnes, it is made in the image of the sitting Buddha. After receiving a prayer from a priest, we were allowed to hit the bell, which gave a deep, almost heavy, sound. We were then allowed to explore the quite vast temple grounds before we were shipped off to a swordsmith. 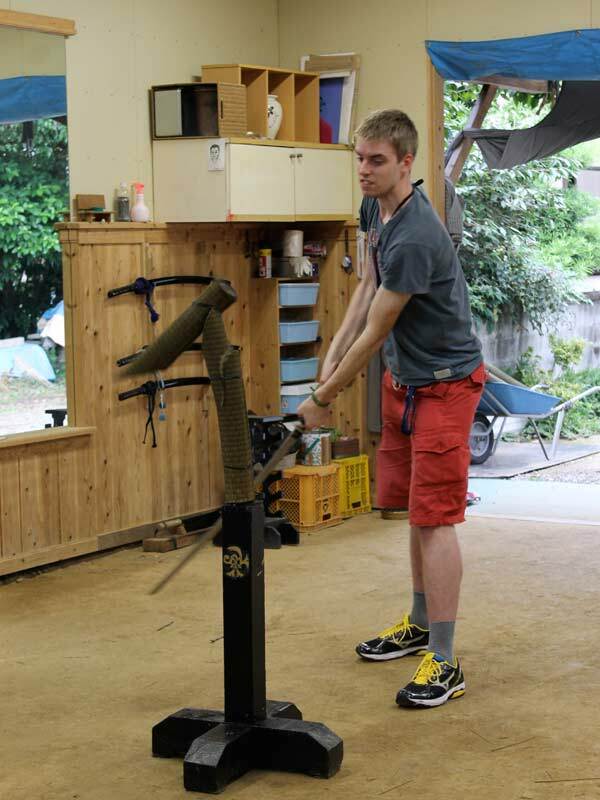 Upon arriving at the workshop of the swordsmith, we were standing in an iaido dojo. The actual workshop was a smaller building in the back of the property, reached after going through a zig-zag of narrow pathways. The swordsmith, one of the few remaining of his kind, showed us the traditional way to make a Japanese katana, by flattening and folding a piece of metal many times, a layered metal is created, giving the swords their strength. The time it takes to make a single sword is roughly 3 months. As it was very cramped with all of us stuffed into his small workshop, things got lively when the sparks started flying from the pieces of red-hot metal. 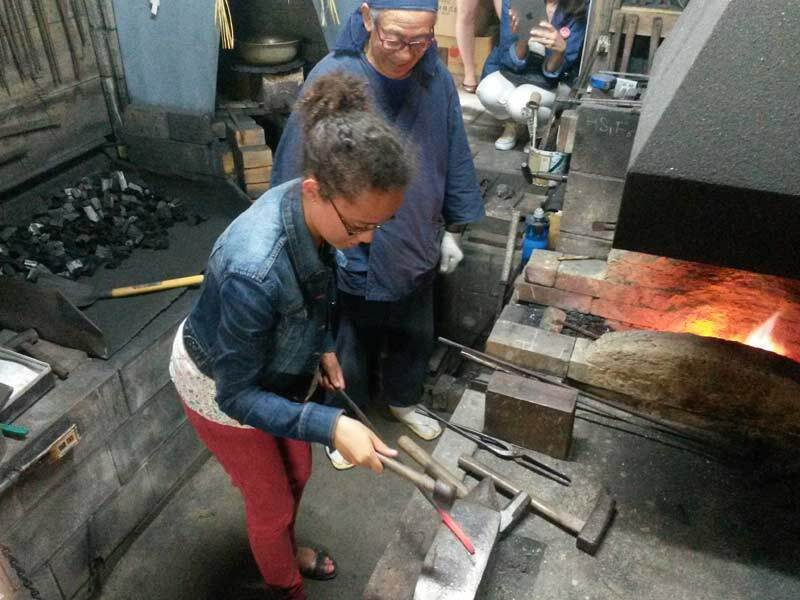 We were also given a chance to experience just how soft (or hard) red-hot metal is, by getting some hands-on experience at metalworking. Finally, back in the iaido dojo, we were first given a demonstration of iaido, and then a few lucky people got to try their hand at swinging a sword at a dummy made of we rolled up tatami mats. Being one of the lucky ones, I can confirm that it was very satisfying to cut the dummy in half with a single slash of the sword. At the end of the day, we took pictures of ourselves posing with the swords, said goodbye to the iaido practitioners and the swordsmith and called it a day. Hands-on experience like metalworking ad iaido are ones that even native Japanese people rarely get to try, so this was absolutely a very fun, and at times thrilling, experience.